All dancers are looking to achieve optimal performance—and Dance Anatomy and Kinesiology will help them do just that. 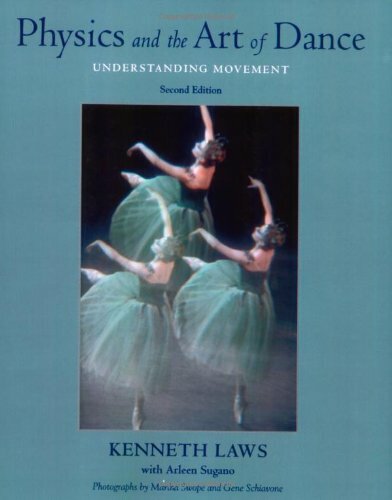 This text helps dancers learn anatomical and biomechanical principles as they apply to dance performance. 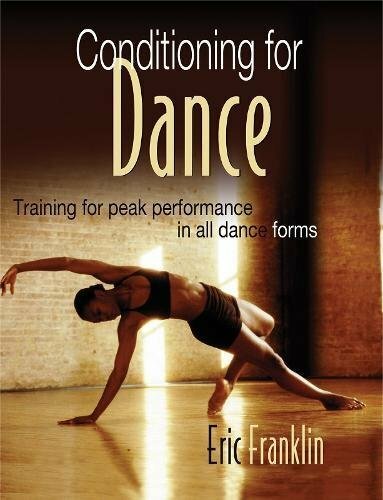 It focuses on optimal dance movement and the related principles for understanding the function of body joints. And by applying those principles, dancers can help reduce their risk of injury and enhance their performance longevity. -Concept Demonstrations provide hands-on exercises to try. -Tests and Measurements are specific to selected regions of the body. -Dance Cues help analyze cue effectiveness and promote optimal movement execution. -Study Questions and Applications help apply chapter concepts. -Attachments provide the pronunciations, attachments, and key actions of the primary muscles covered in this text. 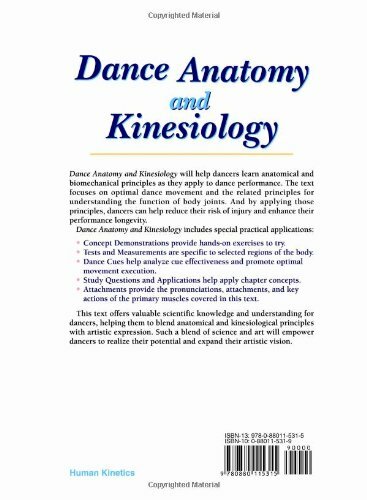 The first two chapters cover the skeletal and muscular systems as they apply to dance and provide basic anatomical terminology and concepts. Chapters 3 through 7 delve into specific areas of the body—the spine, the pelvic girdle and hip joint, the knee and patellofemoral joints, the ankle and foot, and the upper extremity. 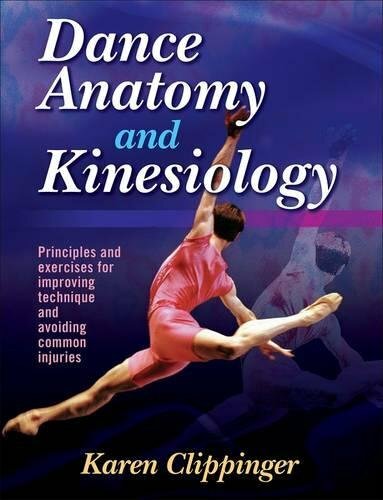 These chapters encompass primary bones, muscles, joints, alignment deviations, mechanics, and injuries for the given region, with special considerations for dance. They present strength and flexibility exercises to help dancers improve technique and prevent injuries. 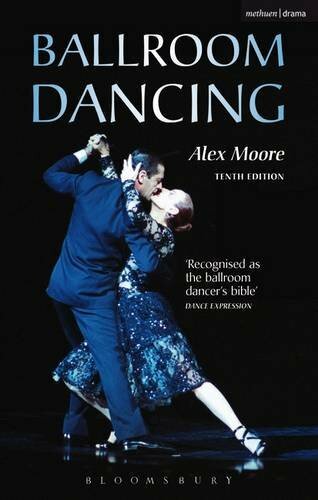 And they contain many practical exercises and examples that are specific to dance technique to help dancers apply the material. The material is augmented by more than 250 illustrations and nearly 350 photographs, which will appeal to the visual learning abilities of many dancers and reinforce the connection between technique and art. The final chapter presents a schema to help analyze full-body dance movements to determine optimal execution. 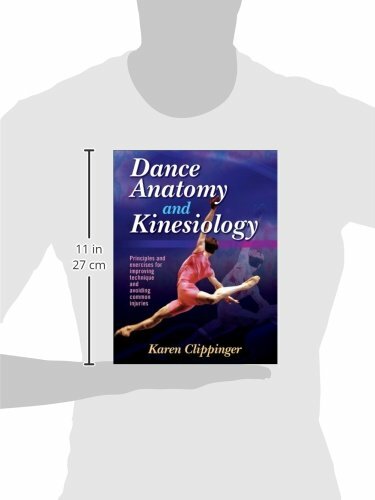 Dance Anatomy and Kinesiology offers valuable scientific knowledge and understanding for dancers, helping them to blend anatomical and kinesiological principles with artistic expression. Such a blend of science and art will empower dancers to realize their potential and expand their artistic vision.